Last week, over four thousand marketers gathered together to immerse themselves in the world of content marketing. 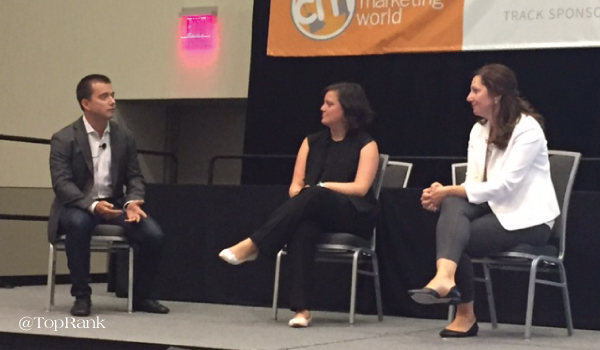 The 2016 Content Marketing World conference was filled with insights from some of the top content marketers on the globe and offered two days filled with education and networking. In just a few short days, attendees (and even those that weren’t able to attend) began sharing their experience on social networks. In fact, last week alone there were 45,000+ posts on social networks by over 10,000 users with estimated impressions of almost 4M. We were happy to be among those in attendance that buckled up for the ride that is Content Marketing World. Along with myself, TopRank Marketing CEO Lee Odden and President Susan Misukanis also attended as representatives of TopRank Marketing. We accomplished a lot over those couple of days including two presentations from Lee on how to optimize the ROI of your content agency investment and insights into how B2B executives can strategize in a world of content, publishing session live blogs (included below), meeting with clients, networking and forming partnerships with other like minded marketers. If you weren’t able to attend this mecca of content marketing, don’t worry! We’ve complied some of the top insights from our favorite sessions as well as some of our favorite quotes and insights from top speakers. Influencer marketing has proven to be a very effective way for brands large and small to build credibility and trust with their audience. However, many influencer marketing programs fail before they even get off the ground. In their presentation, Traackr CEO Pierre-Loïc Assayag and Microsoft’s Amanda Duncan and Eve Psalti answered some of the most pressing questions many brands have about how to create a scale a successful influencer marketing program. Are You Getting the Most Out of Your Content Marketing Agency? Working with an agency that specializes in content marketing can provide brands with a more strategic and scalable marketing program that leverages expertise and additional resources that specialize in content. In his presentation at Content Marketing World, TopRank Marketing CEO Lee Odden shared insights to help brands get a maximum return on their investment with content agencies. Today’s customers are busy, savvy and frustrated. But why? They’ve taken on too much and are looking for ways to improve their own efficiency, old email marketing tricks no longer have an impact and they’re tired of receiving pitch after pitch that doesn’t add value. However, email marketing is just as important (and effective) now as it has ever been, especially when it’s integrated with marketing automation. 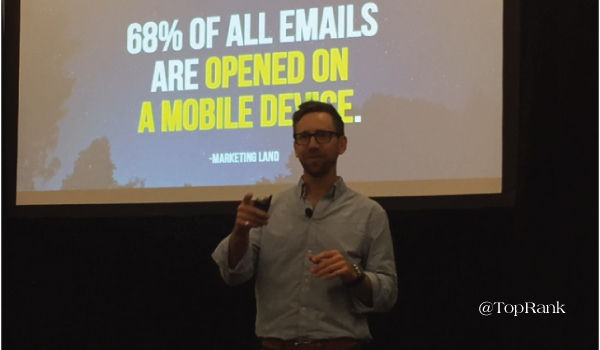 In his session, Mathew Sweezey of Salesforce covered the in’s and out’s of the current state of email, and how to be more effective with your email efforts. 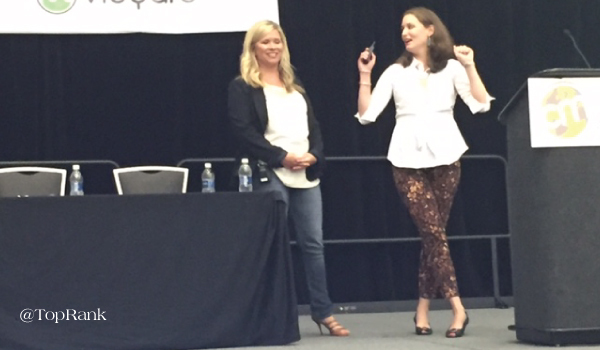 Dell’s Shelley Ryan and Lauren Mauro are no strangers to the world of influencer marketing. In fact, it’s something they were doing long before it had a name. Through their influencer marketing journey they’ve learned how to navigate an often complex strategy in a way that works well for their brand. In their session, they focused on Dell’s influencer marketing point of view, real examples and their own journey with influencer marketing. Marketers around the globe are faced with the fact that they simply don’t have a captive audience. Consumers have tuned out advertising and traditional marketing tactics, leaving many marketers searching for a solution. To help marketers make the shift, Tami Cannizzaro of Oracle offered helpful tips to help brands build earned authority with their target audience. 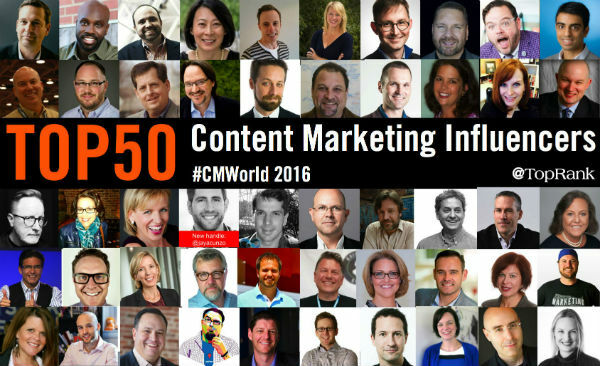 In all, there were over 150 speakers that presented at Content Marketing World. Preparing for an event of that magnitude takes hours of research, planning and practicing to live up to what is expected of speakers of this caliber. To shine a light on those speakers that are not only working hard, but have built credibility with their audience, Lee put together this great list of the top 50 influencers that were speaking at this year’s conference. With all the information presented at conferences like Content Marketing World, it can sometimes be hard to pick out the best nuggets of wisdom to apply to your own marketing. To make that a little easier for you, I’ve collected some of my favorite speaker quotes from the conference shared by the #CMWorld community on Twitter. Thank You Content Marketing World! Wrapping up Content Marketing World last week was bittersweet. I was sad to say goodbye to friends (old and new), but was incredibly excited to begin putting all of that awesome content to good use. Spending time surrounded by smart marketers was an invigorating experience and the insights gained from this conference will help fuel marketing strategies for brands for months and even years to come. If you were able to attend, what was the most important thing that you learned? Thank you so much for this, Ashley! I’m so glad you were there to catch such fantastic highlights. What I noticed was a clear shift in the focal areas four years ago at my first CMWorld compared to this year. And perhaps that was just with me and my role, but there definitely seemed to be a shift toward Robert Rose’s mantra of “create enough content to be effective” – which comes through loud and clear in your snackable tweets. Thanks again!